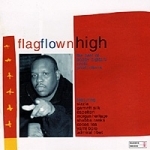 Flag Flown High is a selection of producer Bobby 'Digital' Dixon's best roots productions. Stunning contributions from some of the best vocalists of recent years. Exclusive tracks from Yami Bolo, Sizzla, Admiral Tibet, and the deeply spiritual Garnet Silk.